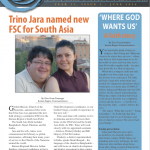 Global Mission, Church of the Nazarene, announced this week that Trino Jara was appointed the new field strategy coordinator (FSC) for the Eurasia Region’s South Asia Field. The South Asia Field includes Bangladesh, Nepal, Pakistan, and Sri Lanka. Jara and his wife, Anna, were commissioned in February as global missionaries, affirming their many years of service to the Church of the Nazarene around the world. Eurasia Regional Director Arthur Snijders expressed confidence in Jara’s appointment. 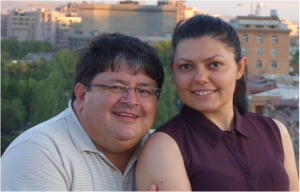 Trino and Anna will continue to live in Armenia and travel between their home on the CIS Field and the South Asia Field. As FSC, Trino will work closely with two appointed assistants – Amitava Chatterji (India) and Bill Grigory (USA/Sri Lanka). 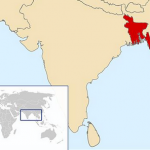 Chatterji, a district superintendent in India, speaks fluent Bengali – the language of the church in Bangladesh – and will focus on church development and district assessment in that country. Grigory will focus on church and leadership development in Nepal, Pakistan, and Sri Lanka. In the past 21 years, the Church of the Nazarene in South Asia has grown to more than 4,600 local churches. 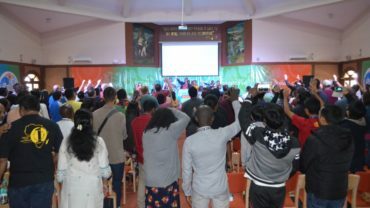 The expansive growth of new believers and new congregations occurred through a Spirit movement, in partnership with local Nazarenes’ focus on sharing God’s love through holistic ministries. 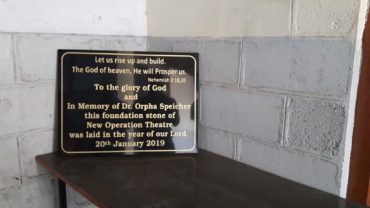 Snijders calls on the global Church of the Nazarene family to encircle the Jaras and the field in fervent, intercessory prayer.